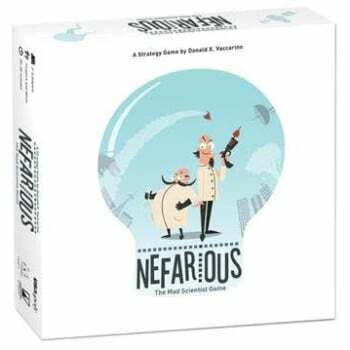 Nefarious is a mad scientist card game designed by Donald X. Vaccarino (Dominion, Kingdom Builder) where players are genius inventors attempting to build freeze rays, cloaking devices, robotic pets, and more. 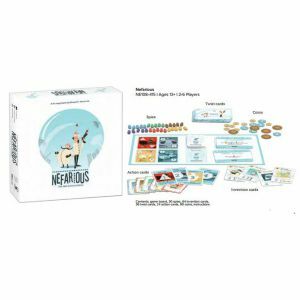 Each turn players can choose to invent, do research, work, or engage in espionage. 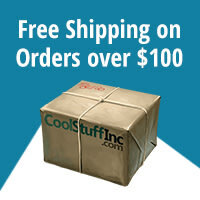 The goal is to earn enough money to make different inventions, which are worth points. The first scientist to score 24 points wins.